Whilst there had been some concern about the weather conditions prior to the first 3k on the Green of 2019, there was no need to worry as the weather gods were looking down favourably on the ‘Best Wee Race in Scotland’ and conditions were as near perfect as you can get in Glasgow on the birthday of Robert Burns. There may have been a few New Year resolutions made by runners as a bumper 140 of them turned up on Friday lunchtime to take part in the event. Up from 118 for the corresponding fixture twelve months ago. Making his first appearance in 18 months, Cambuslang Harrier Alasdair Campbell led from the offset to cross the line in a time of 9:09. 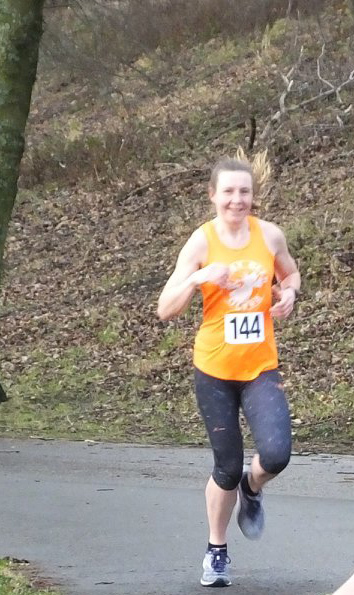 East Kilbride AC’s Jaimie Clements earned Silver, with a time of 9:23. Miguel Delgado Sillero from Spain but currently plying his trade with Scottish Power was only one second behind, crossing the line in 9:24. 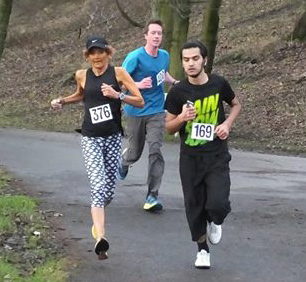 Alasdair said “I really enjoyed my first 3k on the Green of 2019. I was chased all the way. It’s a fantastic race and the superb organisation of the event, by all involved, is greatly appreciated”. In the Women’s Race, Kirkintilloch Olympian Lynne Allen was to the fore and won gold with her time of 11:13. Fifteen seconds ahead of youngster Katy Donnelly in second place (11:28). Gillian Blee was a further twenty seconds behind, with her time of 11:48 earning her third spot on the podium. A per usual, Erica Christie’s performance saw the FV60 earning the best age-related result with her time of 12:37 equating to a wava of 91.72%. Kirkintilloch Olympian, James Gallacher (MV%%) had the best age-related performance in the men’s race, with his time of 10:13 equating to a wava of 87.71%. There were outstanding performances throughout the 140 runners and £280 was raised for the Hospice UK charity. A great start to the New Year! The next event will take place on Friday 22 Feb at the usual time of 12:30.